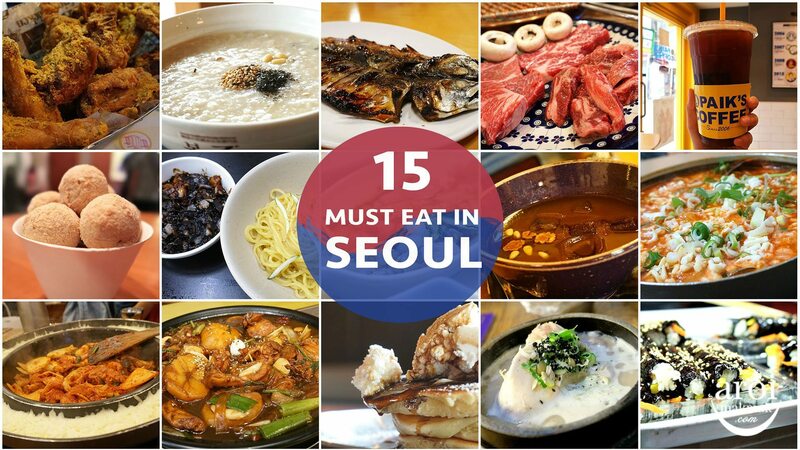 Home/Seoul/Food,Guide/10 MUST EAT in Ewha Woman’s University Fashion Street! 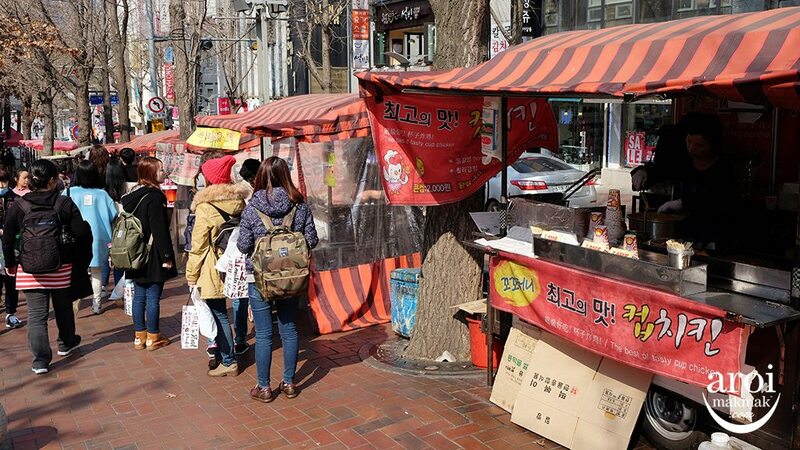 Ewha Woman’s University (이화여자대학교) Fashion Street is filled with lots of shopping. 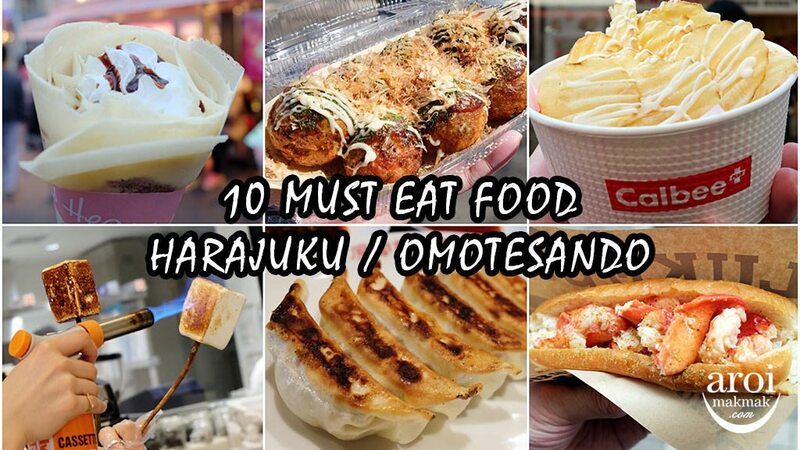 With so many street shopping, the next important item will be food! 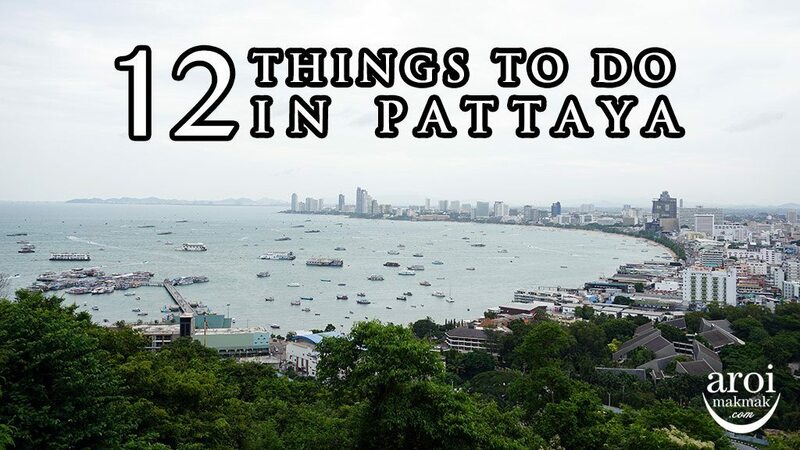 It doesn’t matter if you have not taken your lunch because the amount of street food available is enough to keep your stomach full. 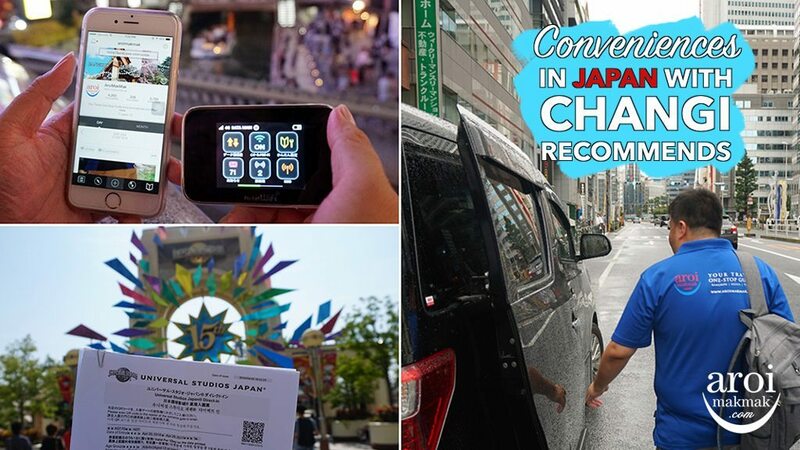 We went to try as many as we could and here are some of the best that we think you should try, as many as you can! 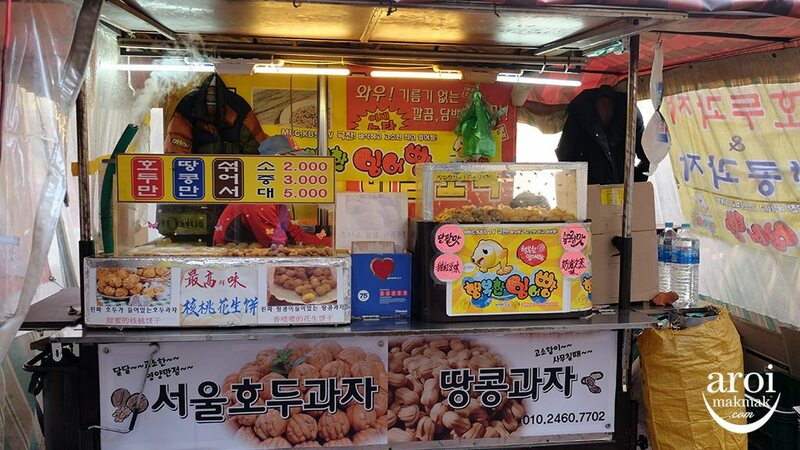 Hotteok is probably the most popular street food in Korea because you can find it at almost every street market! 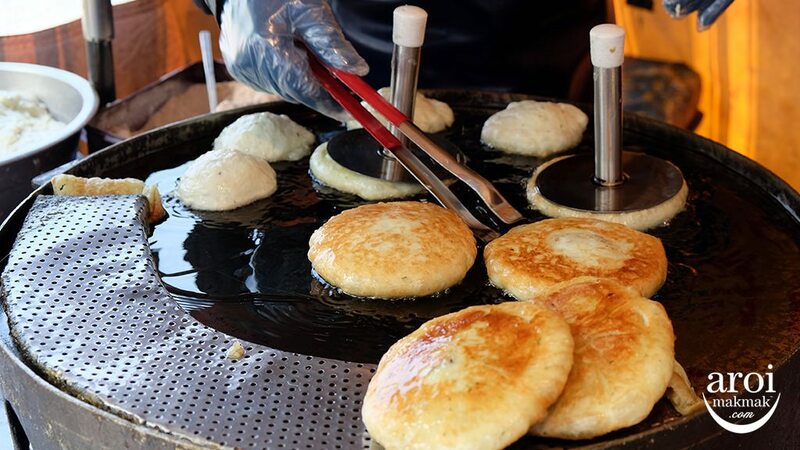 It is essentially a korean pancake which people love to eat especially during winter. It is filled with brown sugar and cinnamon and some places include nuts in it too. 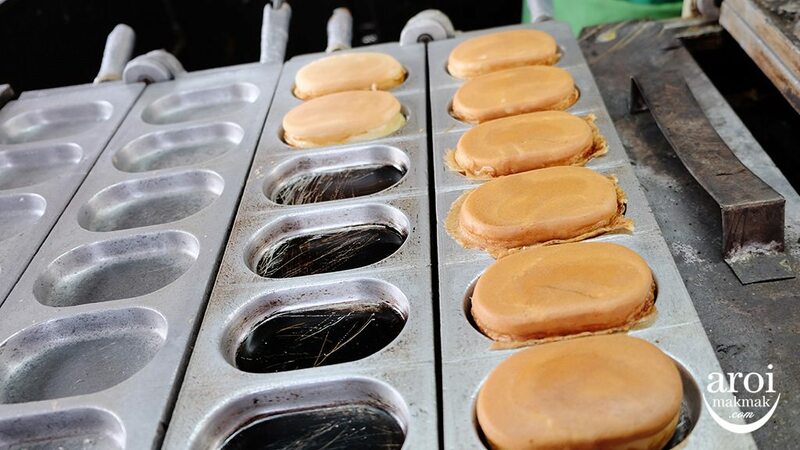 When fried, the sugar actually caramelise so be very careful when you eat! Warning: It’s extremely addictive! Dakkochi don’t look as appetising at the first look but wait till it is on the grill and the red sauce is being applied onto it! 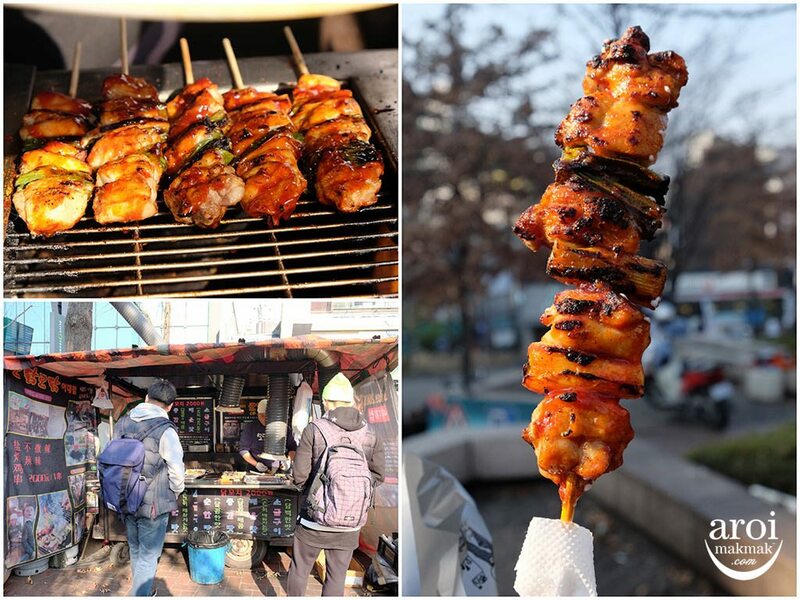 This is something similar to Japan’s Yakitori but Korean’s version has a red sauce applied over it, giving it a sweet and spicy sensation to the already well-grilled chicken. 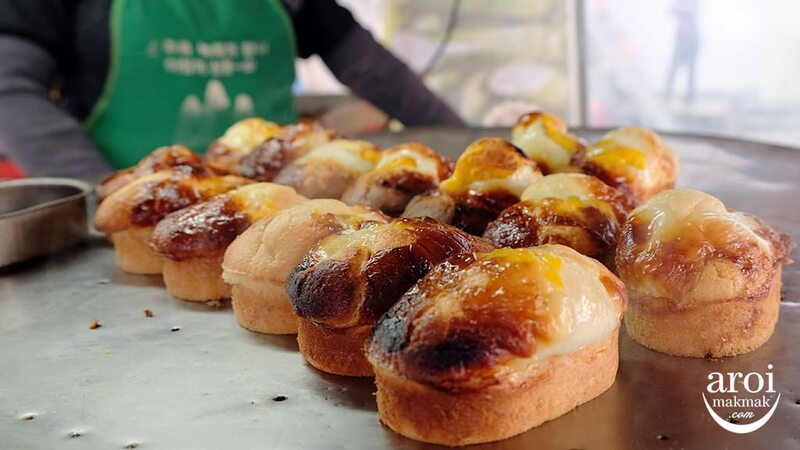 Korean Egg Bread can be found all over Korea where there are street markets. However, I find that those at Ewha are bigger. It is essentially something like a hybrid between cake and bread. 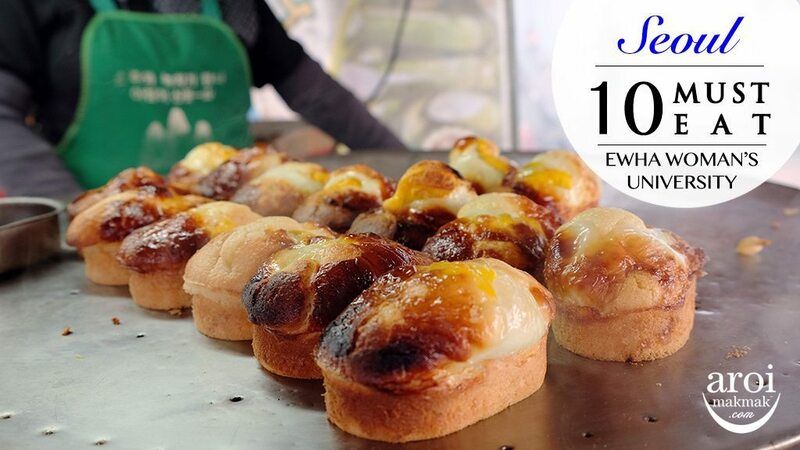 The pastry has hints of sweetness and inside it contains an egg, giving you a flavour burst inside your mouth. Freshly cooked stuffs definitely attracts. 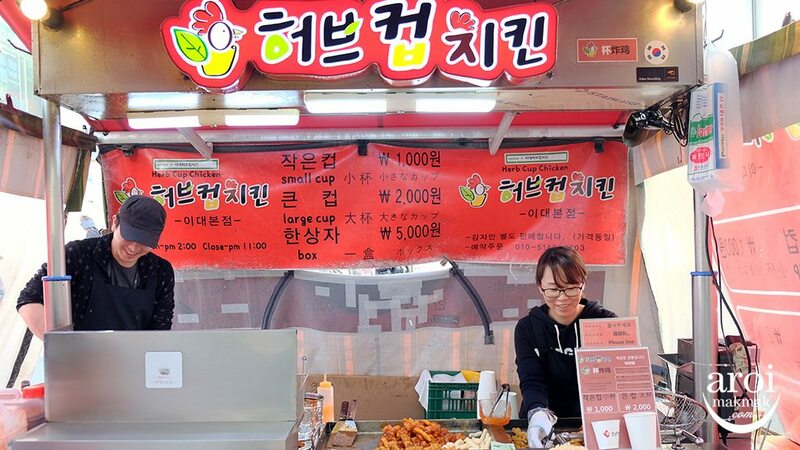 I was attracted to this stall called Herb Cup Chicken. 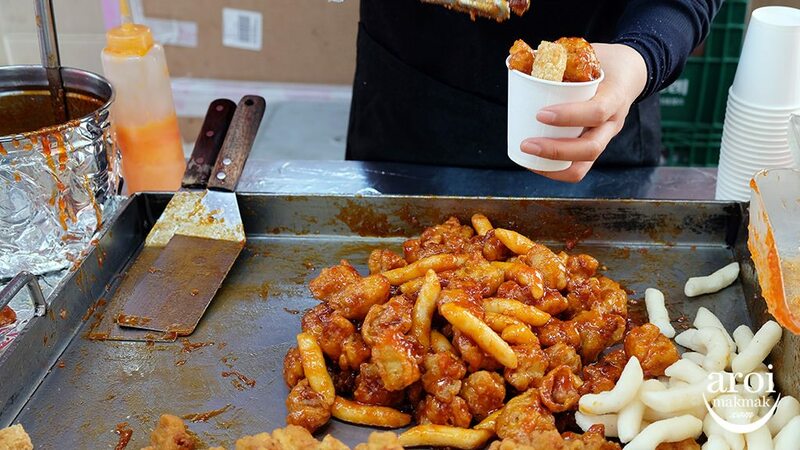 On the first glance, it was clear that it was Korean Fried Chicken with Rice Cakes, with sweet and spicy sauce. I just had to order this! While eating, I notice that hash browns was also added. Definitely a very appetising food and you can even choose your preferred portion! 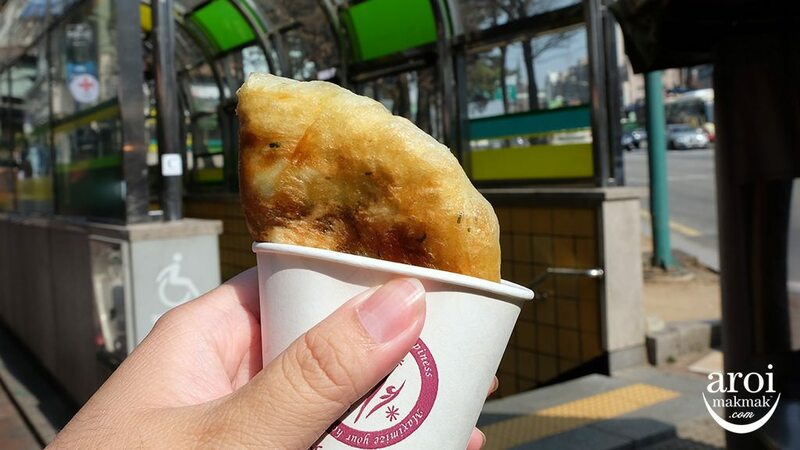 You will get to see odeng everywhere in Korea and when the weather is cold, this makes a very good street food to indulge to help cool your body a little. 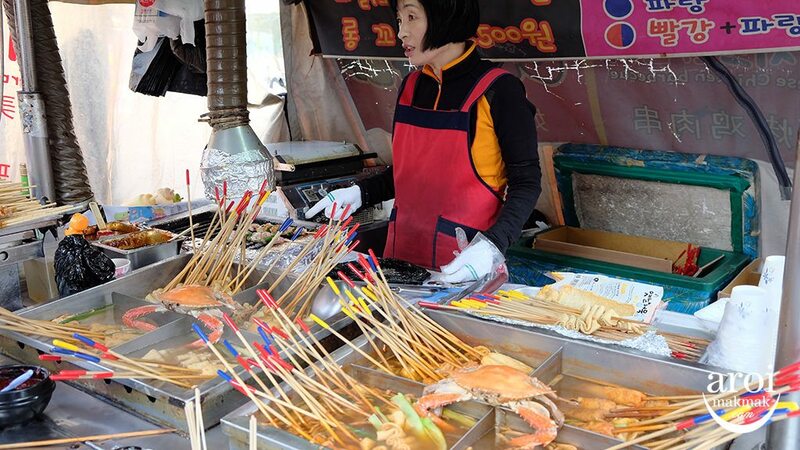 You should really try this as their fish cake is very different from the ones you find in Singapore / Malaysia. 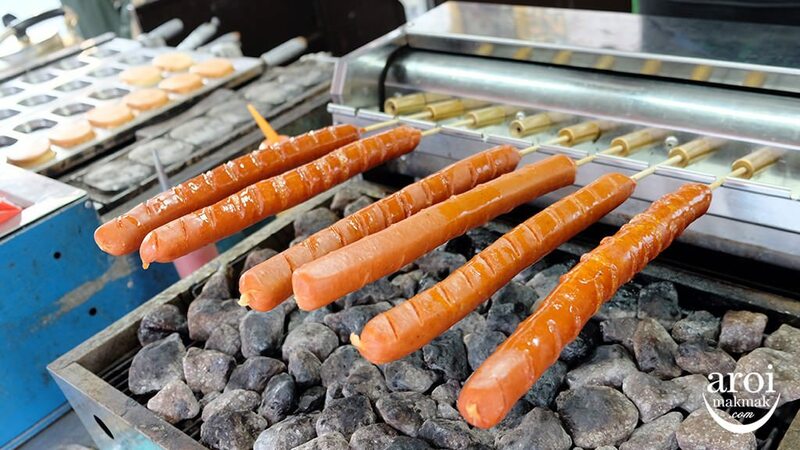 Sausage grilled over charcoal makes tempts you to buy and try! This is something similar to Japan’s Taiyaki but it is smaller and hence cuter. 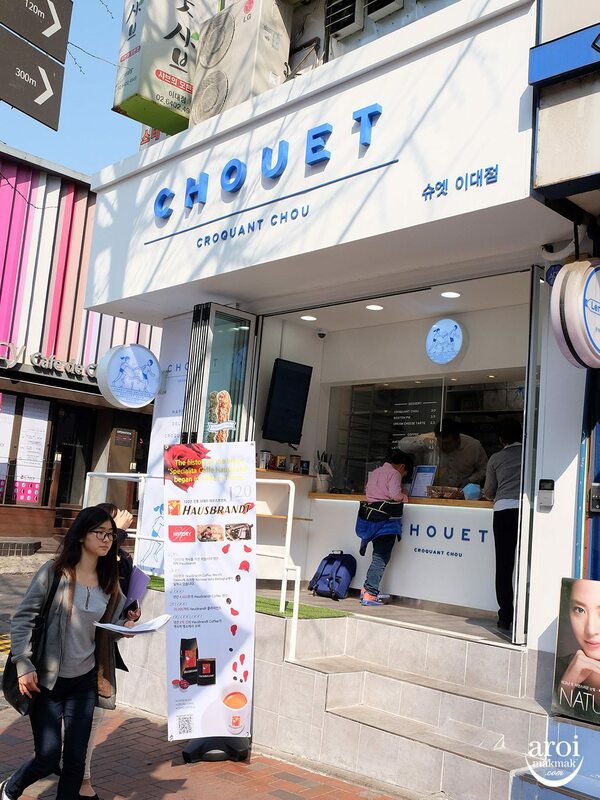 On the inside, it is filled with red beans but at some shops they replace with with peanuts and chestnuts! Want some sweet fruits? Try Fruit Candy! 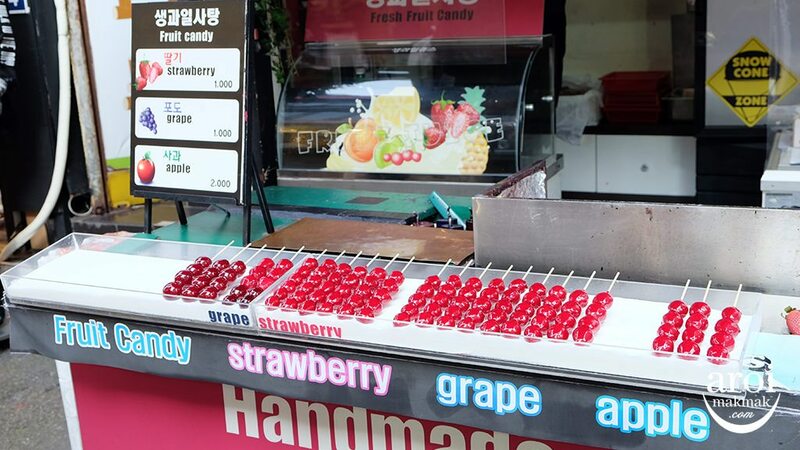 It’s actually just fruits coated with a layer of red sugar! This is a cream puff pastry in a shape of a stick! Originated from Hokkaido Japan, this is probably Korea’s version. Don’t just eat all the way! You need some water to hydrate yourselves. 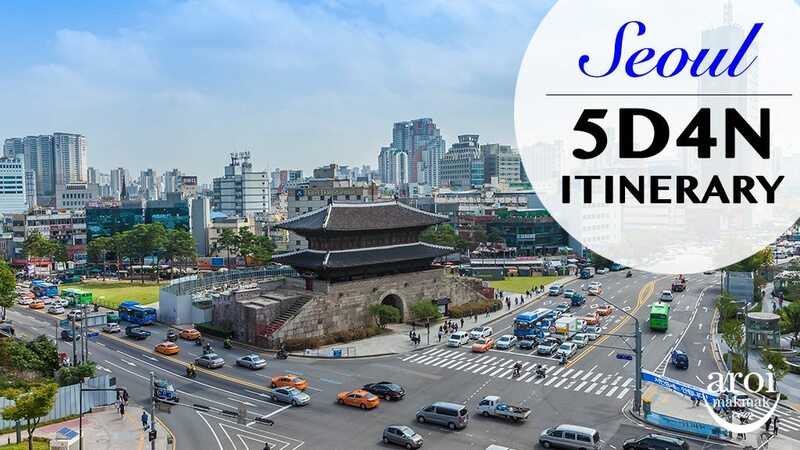 Why not drink from one of Korea’s most popular fruit juice chain called Juicy! I tried their Strawberry Banana juice and I fell in love with it. Now I know why there are always queue outside their outlets!